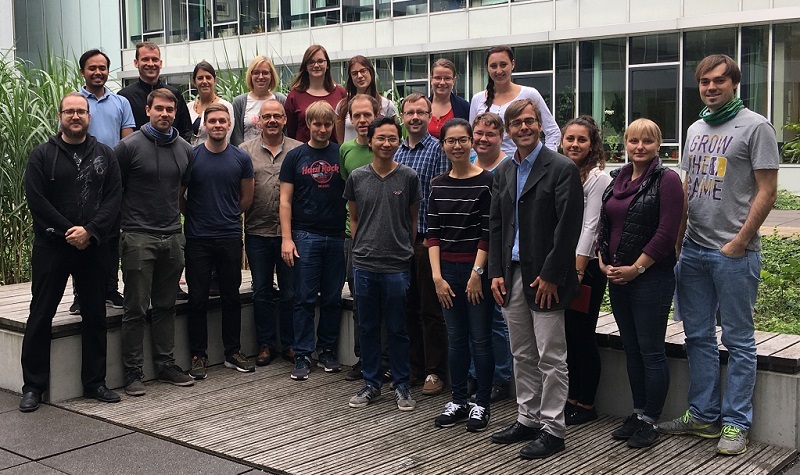 Learn more about how the Green Talents story continues for our awardees when they return to Germany for their research stays. The following is a compilation of information regarding the research stays our alumni have already conducted, are conducting or still will conduct in Germany. The list is structured by the year the participants have won the Green Talents Competition. Aloo, Becky Nancy Achieng (PhD Student in Biodiversity and Ecosystems Management, Kenya) 3 months at Institute of Microbiology and Genetics at Georg-August-Universität Göttingen. 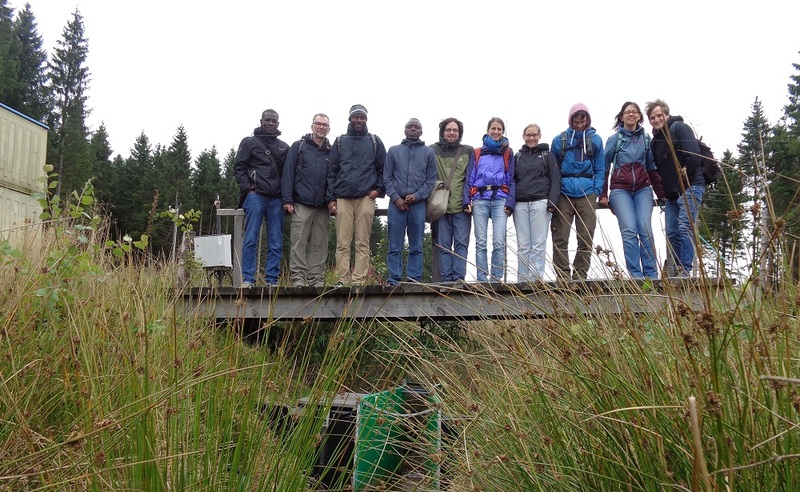 Libanda, Brigadier (PhD Student in Atmospheric and Environmental Science, Zambia) 3 months at University of Bayreuth. Ong, Dr Wee Jun (Assistant Professor in Chemical Engineering, Malaysia) 3 months at Faculty of Chemistry and Food Chemistry at TU Dresden. Parku, George Kofi (MEng (Research) Student in Chemical Engineering, Ghana) 3 months at Deutsches Biomasse Forschungs Zentrum (DBFZ) in Leipzig. Zhou, Di (Researcher in Environmental Law, China) 3 months at WZB Berlin Social Science Center. 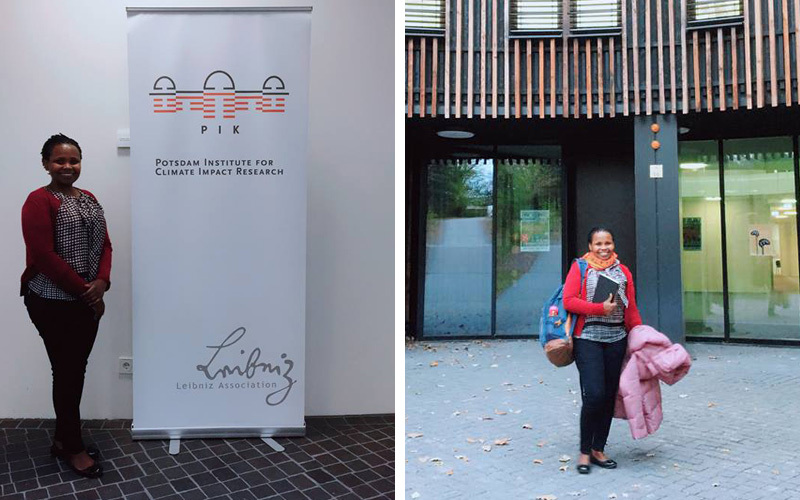 Akampumuza, Precious (PhD Student in Sustainability Science, Uganda) 3 months at Potsdam Institute for Climate Impact Research (PIK). Aprilia, Aretha (PhD in Socio-Environmental Energy Science, Indonesia) 1 month at Institute of Environmental Technology, Berlin University of Technology. Berthon, Katherine (PhD Student in Designing Green Spaces for Biodiversity, Australia) 3 months at Chair for Terrestrial Ecology at Technical University of Munich (TUM). 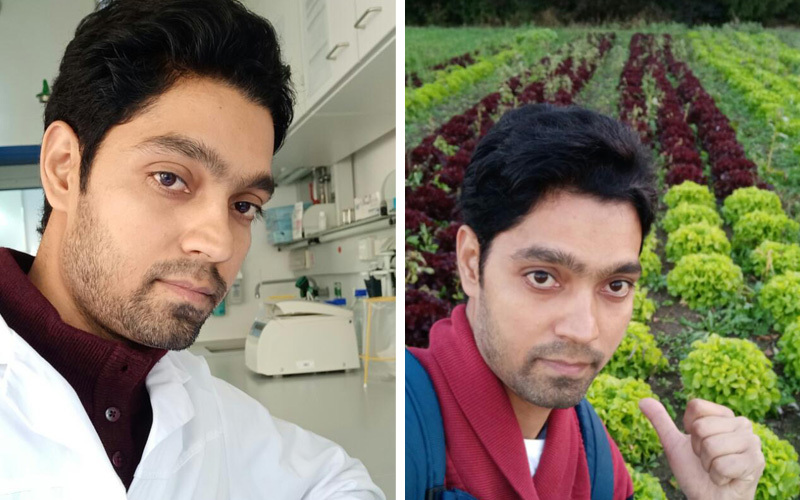 Dubey, Rama Kant (PhD Student in Environmental Science and Technology, India) 3 months at German Research Center for Environmental Health, Helmholtz Zentrum München. Harrison, Hannah (PhD Student in Environmental Anthropology, United States) 2,5 months at IRI THESys, Humboldt-Universität zu Berlin. K C, Anup (Assistant Professor of Environmental Science, Nepal) 3 months at Ludwig-Maximilians-Universität München. Kim, Sea Jin (PhD Student in Environmental Science and Climate change, Republic of Korea) 3 months at Potsdam Institute for Climate Impact Research (PIK). Lede, Ellin (PhD Student in Environmental Science, Australia/United Kingdom) 3 months at NewClimate Institute in Köln. Lundberg, Liv (PhD Student in Energy and Environment, Sweden) 3 months at Chair of Environmental and Climate Policy, Bavarian School of Public Policy at TUM. Lukas, Megan (PhD Student in Environmental Geographical Science, South Africa) 3 months at Chair of Corporate Brewery and Food Industry at Technical University of Munich (TUM). Moallemi, Enayat A. (Research Associate in Exploratory Analysis of Sustainability Transitions, Iran) 3 months at Competence Center Sustainability and Infrastructure System, Fraunhofer Institute for Systems and Innovation Research ISI in Karlsruhe. Mohamed, Ahmed Zakaria Hafez (PhD Candidate in Civil Engineering, Egypt) 3 months at Ruhr-Universität Bochum (RUB), Department of Civil and Environmental Engineering. Mironenko, Olga (MSc in Environmental Science, Russia) 3 months at Kiel Marine Science (KMS) at Christian-Albrechts-Universität zu Kiel (CAU). Norgbey, Eyram (MSc in Environmental Science and Engineering, Ghana) 3 months at the Federal Highway Research Institute (BASt) in Bergisch Gladbach. Okolo, Chukwuebuka Christopher (PhD Student in Soil Science, Nigeria) 3 months at Georg-August-Universität Göttingen. 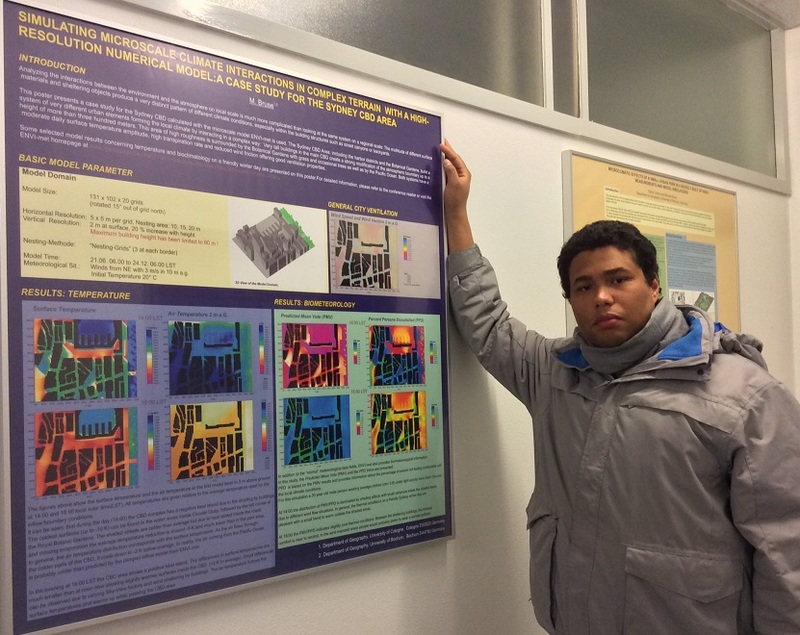 Rattan, Ravindra (Researcher in Geography: Climate Change and Natural Disasters, Fiji) 3 months at Institute for Advanced Sustainability Studies (IASS) in Potsdam. Srivastava, Pratiksha (M.Tech in Biotechnology, India) 3 months at Technische Universität Braunschweig. Tóth, Attila (PhD in Landscape Architecture, Slovakia) 3 months at Department of Landscape Architecture at RWTH Aachen. Xie, Linjun (PhD Student in Urban Sustainable Development) 3 months at Rachel Carson Center for Environment and Society (RCC), LMU Munich. Ahmed, Abubakari (PhD Student in Sustainability Science, Ghana) 2 months at Potsdam Institute for Climate Impact Research (PIK). Atwell, Melissa (PhD Student in Environmental Science, Soil Science, Geography and Sustainable Natural Resource Management, Trinidad and Tobago) 3 months at University of Koblenz-Landau, Institute for Environmental Sciences. Badjana, Hèou Maléki (Hydrologist and Research Associate, Togo) 3 months at Potsdam Institute for Climate Impact Research (PIK). 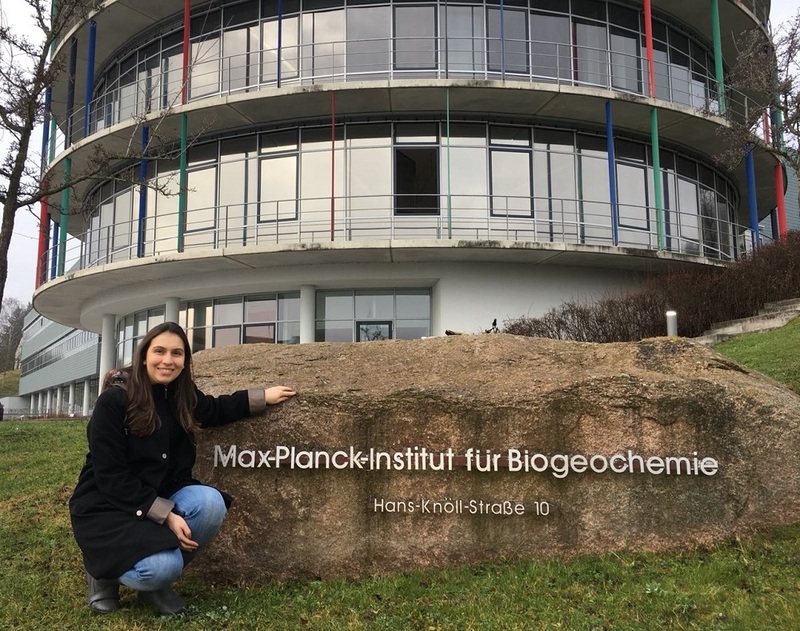 Carmona, Alejandra (PhD in Water Resources Engineering, Colombia) 2 months at Max Planck Institute for Biogeochemistry in Jena. Demaria Venancio, Marina (Master’s Student in Environmental Law, Brazil) 3 months at Helmholtz-Centre for Environmental Research GmbH – UFZ, Leipzig. Elhacham, Emily (MSc Student in Chemistry, Israel) 2,5 months at IBM, Munich. Esteban Serrano, Jesús (PhD in Chemical Engineering, Spain) 3 months at TU Dortmund. 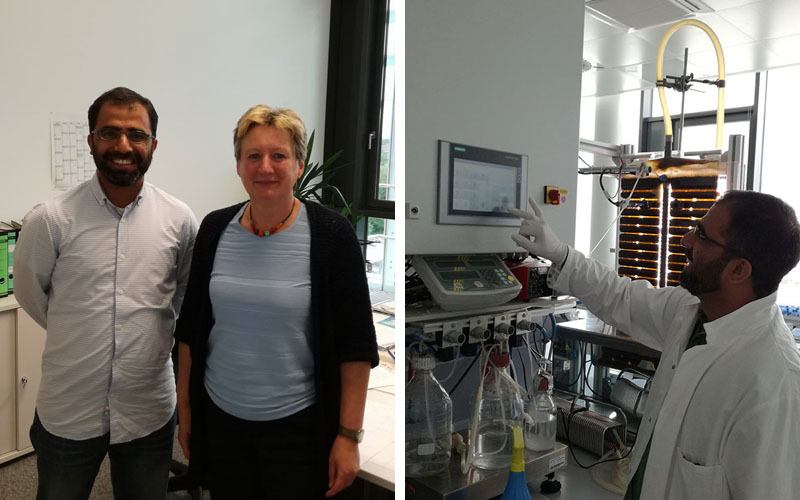 Farooq, Wasif (Assistant Professor at King Fahd University of Petroleum and Mineral (KFUPM), Saudi Arabia) 1,5 months at Fraunhofer Institute for Interfacial Engineering and Biotechnology IGB, Stuttgart. García Velásquez, Carlos Andrés (Master’s Student in Chemical Engineering, Colombia) 3 months at Fraunhofer Institute for Wood Research Wilhelm-Klauditz-Institut WKI, Braunschweig. Hallam, Brett (Postdoctoral Fellow in Photovoltaic Engineering, Australia) 3 months at Fraunhofer Institute for Solar Energy Systems ISE, Freiburg. 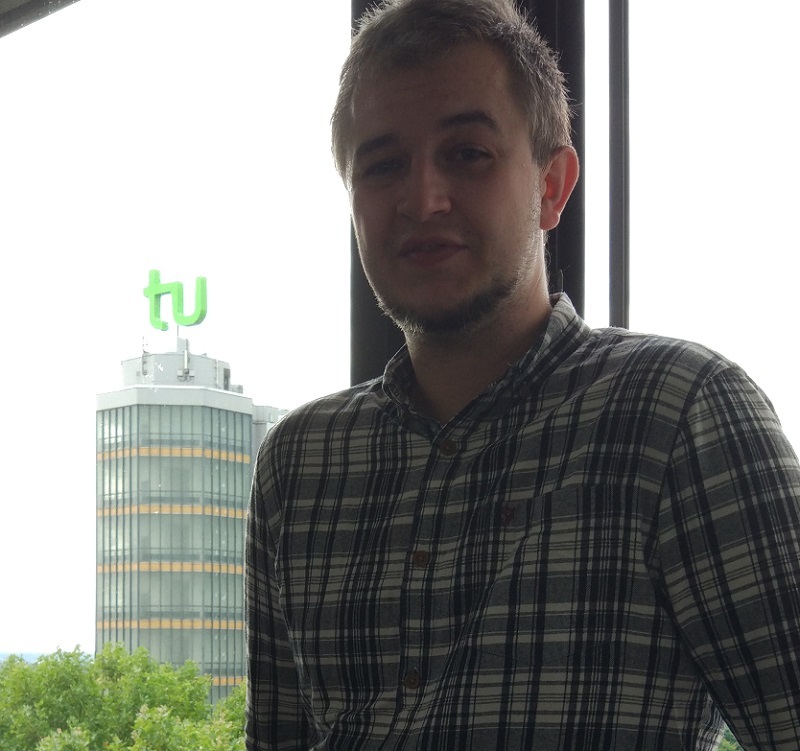 Harris, Darnel (MA in Environmental Studies, Canada) 3 months at Envi-Met in Essen. Kelly, Rachel (PhD Student in Marine Socio-Ecology, Ireland) 3,5 months at Helmholtz-Centre for Environmental Research GmbH – UFZ, Leipzig. Law, Elizabeth (PhD in Environmental Science and Applied Economics, Australia) 3 months at Humboldt-Universität zu Berlin, Department of Geography, Biogeography. Liu, Zhu (PhD in Sustainability Science, China) 3 months at Potsdam Institute for Climate Impact Research (PIK). Manyuchi, Musaida Mercy (PhD in Chemical Engineering, Zimbabwe) 3 months at German Biomass Research Centre (DBFZ), Leipzig. Moo, James Guo Sheng (PhD in Materials Chemistry, Singapore) 3 months at Leibniz Institute for Solid State and Materials Research Dresden (IFW). Morais, Ana Rita C. (PhD Student in Sustainable Chemistry, Portugal) 2,5 months at Institute of Thermal Separation Processes at the Hamburg University of Technology (TUHH). 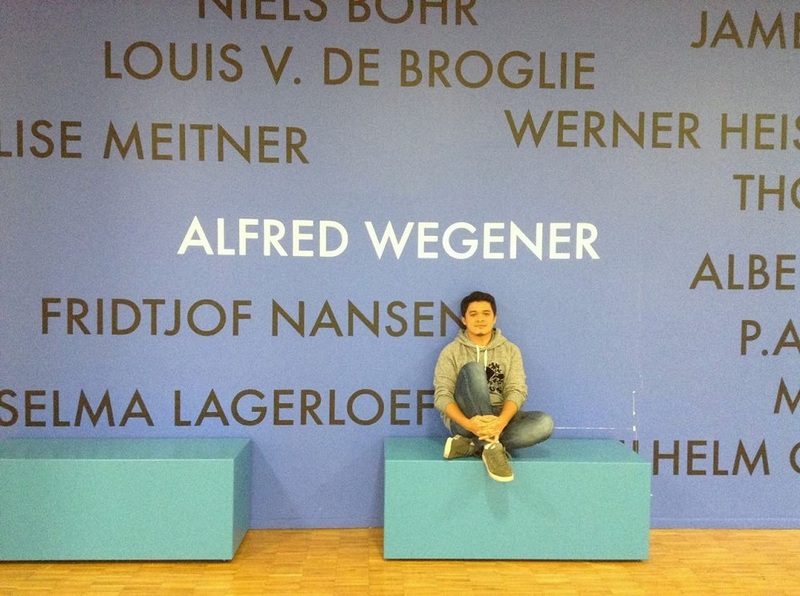 Onda, Deo Florence (PhD in Oceanography, Philippines) 3 months at Alfred-Wegener-Institut Helmholtz-Zentrum für Polar- und Meeresforschung (AWI), Bremerhaven. 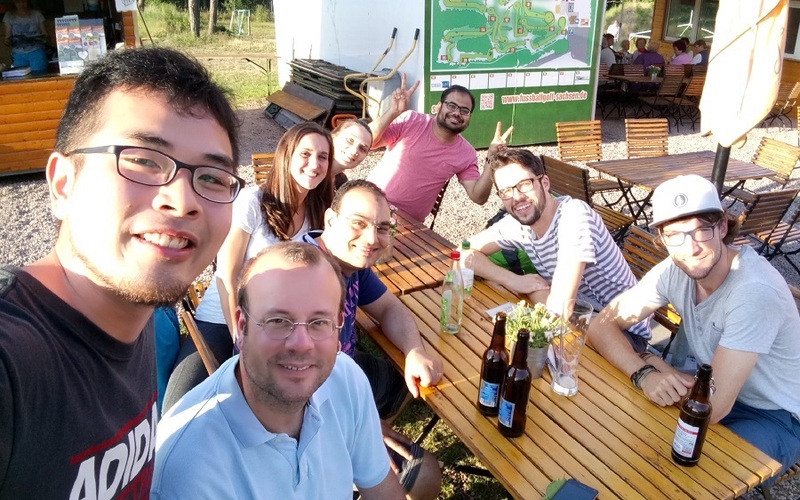 Rocha El Bizri, Hani (Master’s Student in Health and Animal Production in the Amazon, Brazil) 3 months at Helmholtz-Centre for Environmental Research GmbH – UFZ, Leipzig. She, Qianhong (PhD in Environmental Engineering, China) 2 months at University of Duisburg-Essen, Essen. Siwakoti, Yam P. (PhD in Power Electronics, Nepal) 3 months at Fraunhofer Institute for Solar Energy Systems ISE, Freiburg. Wondowossen, Tegegne (PhD Student in Climate Change and Tourism Development, Ethiopia) 3 months at Potsdam Institute for Climate Impact Research (PIK). Zhang, Shujuan (PhD in Environmental Science, China) 2 months at Institute of Biology, Freie Universität Berlin. Yong, Wai Fen (Postdoctoral Fellow in Chemical and Biomolecular Engineering, Malaysia) 1 month at Inorganic Chemistry I at TU Dresden. Baños Díaz, Heyker Lellani (PhD in Agriculture Science, Cuba) 3 months at Institute for Plant Protection in Fruit Crops and Viticulture (Chemical Ecology/ Phytopathology Lab) at the Julius Kühn-Institut, Federal Research Centre for Cultivated Plants, Dossenheim. Belfon, Renaldo (MPhil in Soil Science, Trinidad and Tobago) 3 months at University of Tübingen, Department of Geoecology/ Geography. Brennan, Geraldine (PhD Student in Strategic Management and Sustainable Development, Ireland/South Africa) 1 month at Technischen Universität Berlin. Chow, Ming Fai (PhD in Civil Engineering, Malaysia) 2 months at Chair of Water Resources Management and Modeling of Hydrosystems, TU Berlin. De Carvalho Machado Araujo, Paula (Masters Student in Organic Agriculture, Brazil) 3 months at Institute for Animal Hygiene, Animal Welfare and Farm Animal Behaviour, University of Veterinary Medicine Hannover, Foundation (TiHo). Dobre, Catalina (PhD Student in Architecture, Romania) 3 months at Institute of Environmental Systems Research (USF) at Osnabrück University. Garcia-Segura, Sergi (PhD in Electrochemistry, Spain) 3 months at Department of Electrochemistry at the University of Bonn. Gulma, Sadiq Abubakar (Master of Environmental, Arid and Semi-Arid Lands Engineering, Nigeria) 3 months at Faculty of Civil Engineering, Department of Building Physics at Bauhaus Universität Weimar. 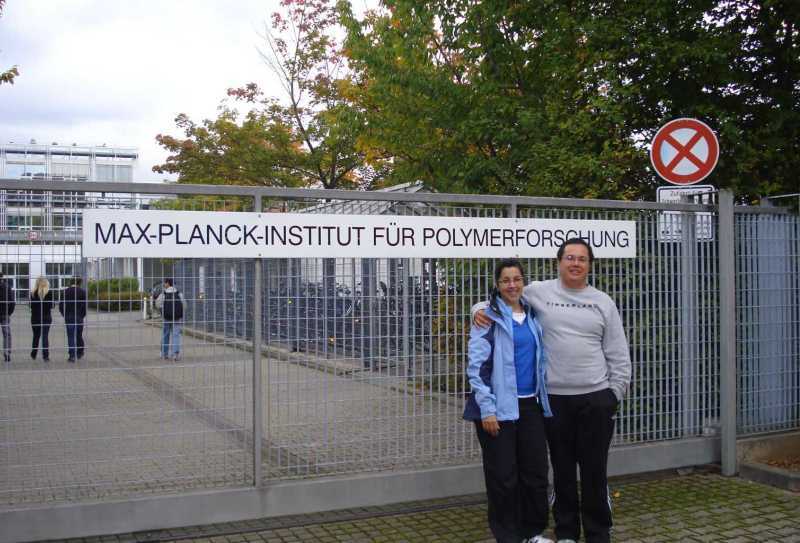 Gutierrez Rojas, Andrea Lucia (PhD in Mineral Processing Engineering, Bolivia) 3 months at Institute of Engineering Thermodynamics at the German Aerospace Center (Deutsches Zentrum für Luft- und Raumfahrt -DLR), Stuttgart. Kalayci, Bükra (PhD Student in Sustainable Textile Production, Turkey) 3 months at Institute of Economic Education and Sustainable Consumption, TU Berlin. Khan, Shougat Nazbin (Master's in Green Energy Technology, Bangladesh) 3 months at E.ON Energy Research Center of RWTH Aachen. Kravchenko, Kseniia (MSc Student in Biology, Ecology and Biodiversity, Ukraine) 5 months at Leibniz Institute for Zoo and Wildlife Research (IZW), Berlin. 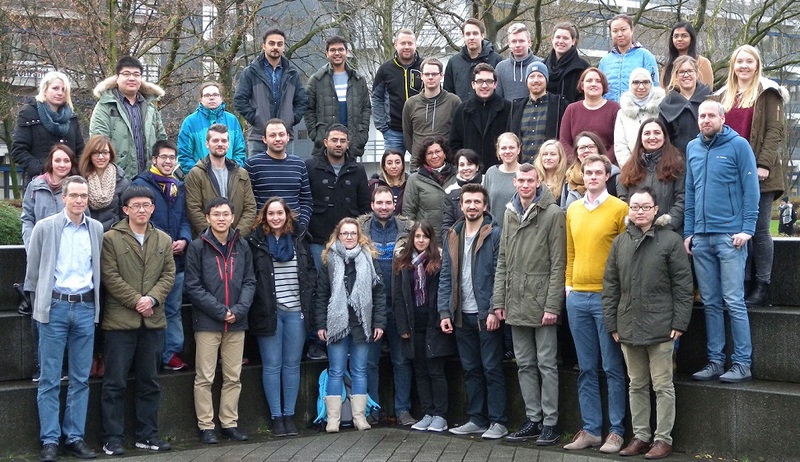 Kumar, Arun Prasad (PhD Student in Earth Remote Sensing and Geo-Information Technology, India) 3 months at The German Remote Sensing Data Center (DFD), an institute of German Aerospace Center (DLR), Oberpfaffenhofen. Marchiori Pacheco, Larissa (Master's Student in Innovation and Sustainability, Brazil) 3 months at Ecologic Institute, Berlin. Moghimi Ardedkani, Mohammad (PhD Candidate in Mechanical Engineering, Iran) 3 months at DLR Institute of Solar Research, Jülich. Mosavi, Amirhosein (PhD in Applied Informatics and Data Science, Iran) 3 months at Department of Hydrology, University of Bayreuth. Ocon, Joey D. (PhD in Environmental Science and Engineering, Philippines) 2 months at Reiner Lemoine Institute, Off-Grid Systems Group, Berlin. Rashid, Naim (PhD in Civil and Environmental Engineering, Pakistan) 3 months at University of Leipzig, Institute of Biology, Plant Physiology. Zipper, Samuel (PhD Student in Freshwater and Marine Science, USA) 2 months at Meterological Institute of the University of Bonn. Agyemang, Martin (PhD in Environmental Management, Ghana) 3 months at University of Kassel, Faculty of Business and Economics. Aria, Adrianus (PhD in Aeronautics, Indonesia) 3 months at Fraunhofer IWM Freiburg Meso- and Micromechanics. Baravalle, Sergio (Master Student in Biological and Agricultural Engineering, Argentina) 3 months at Deutsches Biomasseforschungszentrum (DBFZ), Leipzig. Bobbins, Kerry (MSc in Environmental Water Management, South Africa) 1 month at German Institute of Urban Affairs (Difu) in Berlin. Brockman, Irene (PhD candidate in Chemical Engineering, United States of America) 3 months at Forschungszentrum Jülich. Buckley, Heather (PhD in Green and Inorganic Chemistry, Canada) 2,5 months at Fraunhofer Institute for Solar Energy Systems ISE in Freiburg. Guzelturk, Burak (PhD candidate in Electrical Engineering, Turkey) 3 months at Leibniz Institute for Solid State and Materials Research Dresden. Kochanski, Maksymilian (M.Eng.student in Sustainable Energy Engineering, Poland) 3 months at E.ON Energy Research Center of RWTH Aachen. Lee, Jian-Yuan (PhD candidate in Chemistry and Materials Science & Engineering, Malaysia) 3 months at RWTH Aachen. Liu, Jing (PhD in Microbial Fuel Cells, China) 2,5 months at Max Planck Institute of Colloids and Interfaces Potsdam. Marline, Lovanomenjanahary (PhD student in Tropical Bryology, Madagascar) 3 months at University of Bonn. Mbeva, Kennedy (MSc student in Environmental Management and Sustainable Development, Kenya) 2,5 months at German Development Institute (DIE) in Bonn. Mehmood, Asad (PhD in Energy and Environmental Engineering, Pakistan) 3 months at Max Planck Institute of Colloids and Interfaces in Potsdam. 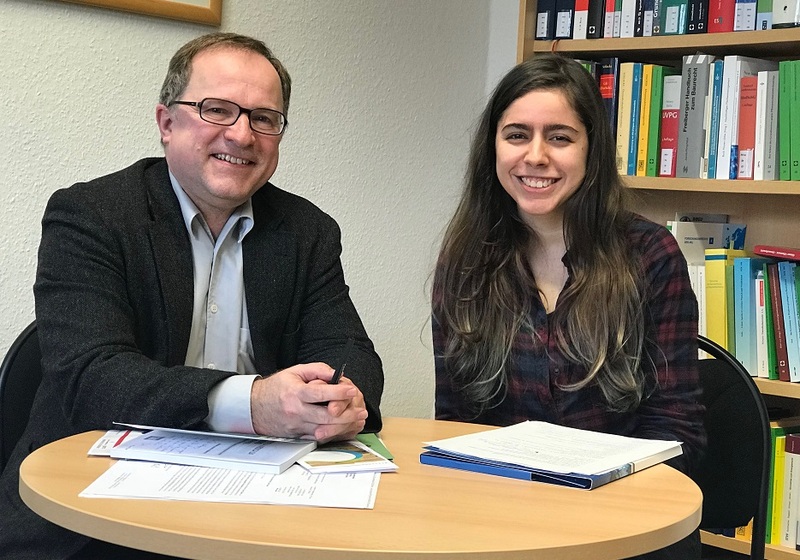 Mello Pereira da Silva, Tatianna (Master of Public Policy, Brazil) 3 months at Collaborating Centre on Sustainable Consumption and Production (CSCP) in Wuppertal. Mendoza Araya, Patricio (PhD in Electrical Engineering, Chile) 2 months at Institute for Drive Systems and Power Electronics (IAL) at the Leibniz Universität Hannover. Moustakas, Nikolaos (PhD student in Photocatalysis / Artificial Photosynthesis, Greece) 3 months at Max PIanck Institute for Chemical Energy Conversion (MPI-CEC) Duisburg. Pandara Valappil, Femeena (Master in Water Resources Engineering, India) 2 months at Christian-Albrechts-Universität zu Kiel (CAU) / Institute for Natural Resource Conservation. Pradhan, Paribesh (MSc student in Physical Geography, Nepal) 3 months at Albert-Ludwigs-Universität Freiburg. Ur Rehman, Muhammed Saif (PhD in Civil and Environmental Engineering, Pakistan) 3 months at Helmholtz-Centre for Environmental Research GmbH – UFZ. Sepulveda, Juan (PhD in Sustainable Development, Colombia) 3 months at Faculty of Economics at the University of Göttingen. Sikosana, Melissa (MSc student in Chemical Engineering: Wastewater, Zimbabwe) 3 months at Biomimicry Germany e.V. Berlin. Wei, Li (PhD in Electrical Engineering, China) 6 months at E.ON Energy Research Center of RWTH Aachen. Zinyengere, Nkulumo (PhD candidate in Environmental and Geographical Science, Zimbabwe) 3 months at Department of Geography, Bonn University. Ahmad, Sohail (PhD in City Planning, India) 3 months at Mercator Research Institute on Global Commons and Climate Change (MCC) in Berlin. Ardila Castro, Oscar (MSc in Mechanical Engineering, Colombia) 3 months at TU Berlin, Institute of Fluid Dynamics and Technical Acoustics (ISTA). Avtar, Ram (PhD in Forest Remote Sensing, India) 2 months at German Aerospace Center, DLR Oberpfaffenhofen. Bunjak, Ksenija (PhD in Architecture, Serbia) 5 months at Technical University of Munich. 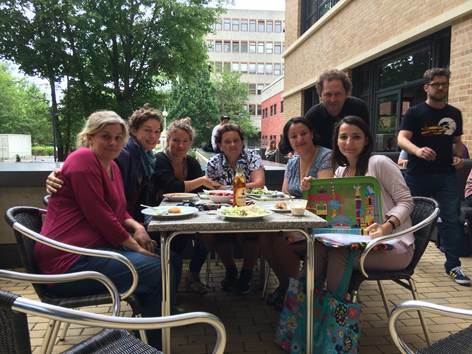 Christofoletti Mazzeo, Dânia (PhD in Biological Sciences, Brazil) 3 months at Goethe University Frankfurt. Chung, Jae Wook(PhD in Water Technology, Korea) 3 months at Helmholtz-Centre for Environmental Research (UFZ) in Leipzig. Dasog, Mita (PhD candidate in Chemistry,Canada) 2 months at Department of Chemistry at the Technical University of Munich. 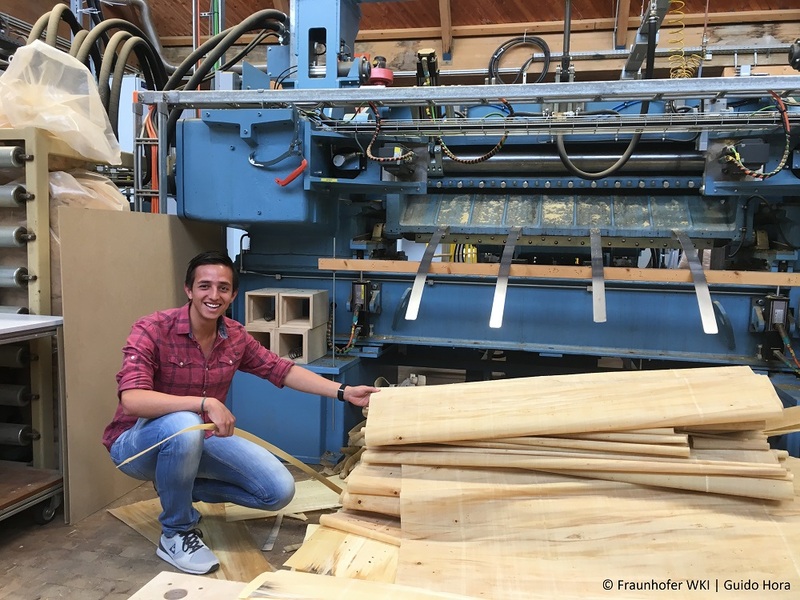 Ibrahim, Asal (Master student in Renewable Energy and Sustainable Development, Jordan) 4 months at Fraunhofer Institute for Solar Energy Systems (ISE) in Freiburg. Iscenco, Alexandr (MSc in Environmental and Natural Resource Economics and Global Environmental Governance, Moldova) 3 months at Institute for Ecological Economy Research (IÖW) in Berlin. 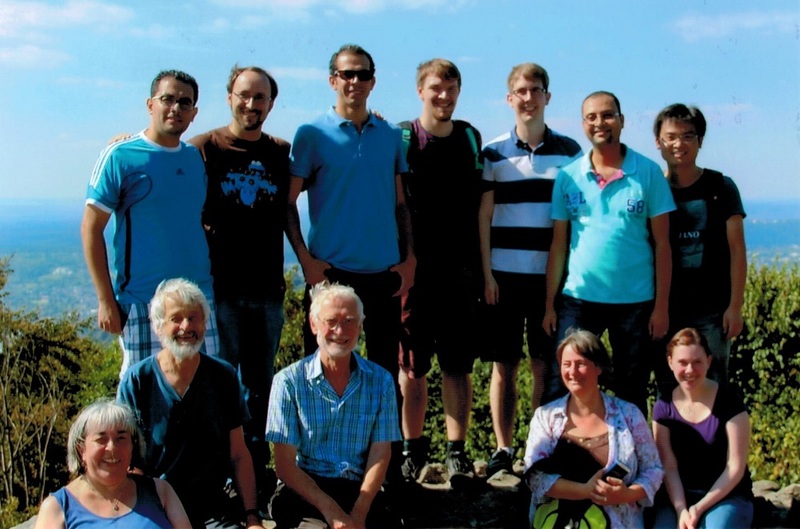 Kharrazi, Ali (PhD in Sustainability Science, Iran) 3 months at Potsdam Institute for Climate Impact Research (PIK). Le, Ngoc Lieu (PhD in Chemical & Biomolecular Engineering, Vietnam) 1 month at University of Duisburg-Essen. Li, Congying (Master student in Ecohydrology, China) 3 months at IWW Water Centre at University Duisburg-Essen. Lim, Jun (PhD Candidate in Environmental and Water Resources Engineering, Singapore) 3 months at Clausthal Institute of Environmental Technologies (CUTEC) in Clausthal-Zellerfeld. Monteferri, Bruno (MPhil in Conservation Leadership, Peru) 3 months at Institute for Ecological Economy Research (IÖW) in Berlin. Mubeen, Umarah (PhD student in Biotechnology, Pakistan) 3 months at Max Planck Institute of Molecular Plant Physiology (MPIMP) in Potsdam. Nurhati, Intan (PhD in Earth and Atmospheric Sciences, Indonesia) 3 months at GEOMAR Helmholtz Centre for Ocean Research Kiel. Oyeogbe, Anthony (PhD candidate in Agronomy, Nigeria) 3 months at Leibniz Centre for Agricultural Landscape Research (ZALF) in Müncheberg. Pan, Shu-Yuan (PhD candidate in Environmental Engineering and Geography,Taiwan/China) 1 month at RWTH Aachen University. Pandey, Divya (PhD candidate in Environmental Science, India) 3 months at Departments of Geoscience and Economics Center for Earth System Research and Sustainability, University of Hamburg. Savaget, Paulo (Master in Science and Technology Policy and Master of Philosophy in Public Policies, Brazil) 3 months at Institute for Advanced Sustainability Studies (IASS) in Potsdam. Sudakov, Ivan (PhD in Mathematical Modelling, USA) 3 months at University of Hamburg. Zinati, Tayebeh (MA Water Resource Engineering, Iran) 3 months at TU Hamburg, Institute of River and Coastal Engineering. Ahmad Khan, Sabaa (PhD student in International Sustainable Development Law, Canada) 6 weeks at the Institute for Advanced Sustainability Studies (IASS) in Potsdam. Environmental lawyer Sabaa is currently completing her LL.D. on regional and national policies of e-waste management and asset recovery. She is taking a close look at emerging e-waste industries in India and Ghana, and their international linkages. Sabaa’s work on global electronic waste (WEEE) regulation goes hand in hand with IASS’ research activities within its platform entitled “Enabling Technologies for Sustainability (ETS)”. While in Potsdam, she was therefore asked to write a working paper, based on her expertise with the Basel Convention and new developments underway in relation to the Convention. The paper at the same time benefited her doctoral studies, giving her new perspectives on a very techno‐legal dimension of the e‐waste problem, and bringing her up to date with latest developments under the Basel Convention. Balu, Alina (PhD in Fine Chemistry, Romania) 3 months at Institute for Technical Chemistry of University of Leipzig. Brus, Viktor (PhD candidate in Electronics and Energy Engineering, Ukraine) 3 months at Institute for Silicon Photovoltaics of the Helmholtz-Zentrum Berlin (HZB). Viktor has focused his research on heterojunction solar cells, which represent the next generation of PV cells after single-material (homojunction) silicon PV cells. His research stay in Berlin enabled him to be part of the team which developed for the first time an efficient approach to solve a fundamental problem of the surface recombination efficiency limiting factor in promising Graphene G/n-Si(111) solar cells. The stay also resulted in two publications, a presentation at an international Hybrid-Photovoltaics Symposium and further articles prepared and submitted in cooperation between Victor’s alma mater Chernivtsi National University in Ukraine and HZB. del Campo, Bernardo (PhD candidate in Mechanical Engineering and Biofuels, Uruguay) 3 months at University of Gießen. Gu Dongdong (PhD in Material Science, China) 3 months at Fraunhofer Institute for Laser Technology (ILT) in Aachen. Kyaw, Aung Ko Ko (PhD in Electrical and Electronic Engineering, Singapore) 2 months at Max Planck Institute for Polymer Research in Mainz. 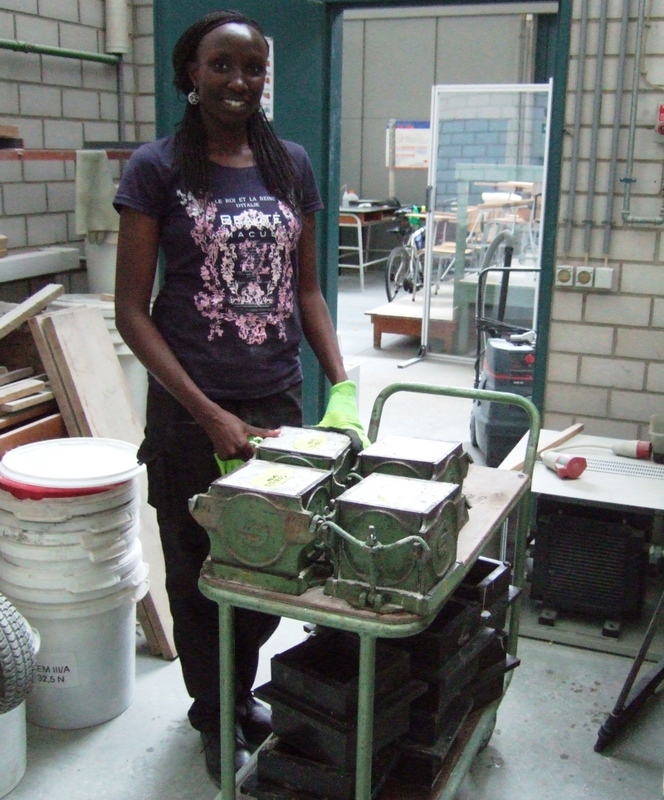 Muigai, Rachel (PhD candidate in Construction Sustainability, Kenya) 3 months at Construction Materials Testing Center of Karlsruhe University of Applied Sciences. Rachel, a civil engineer in South Africa, works on the optimization of the sustainability of concrete infrastructure by seeking innovative practical designs and construction solutions. 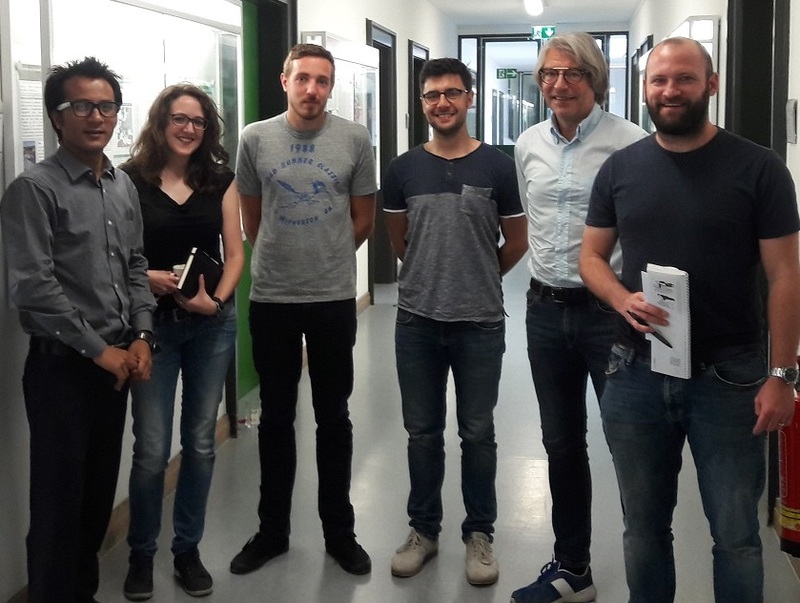 Her research stay in Germany at the Construction Materials Testing Center in Karlsruhe aimed at identifying the optimum recycled content of coarse recycled concrete aggregates in structural concrete in terms of their environmental impact and structural performance. Therefore, she used test results of 8 different recycled aggregate concretes and two control-concretes of natural aggregates in order to compare their performance. The results of her study can be applied to current building practices to select appropriate materials in order to minimize the embodied environmental impact. Rachel published the outputs of her study in the university journal and presented an overview of her results to a representative of a Heidelberg Cement Factory. Nash, Sarah (PhD student in Human Rights and International Politics, UK) 2 months at KlimaKampus of the University of Hamburg. Here, Sarah commences her PhD studies on climate-induced migration.The two-month research stay of Scottish scholar Sarah Nash was designed to prepare a research proposal titled “Parallel discourses of climate change and forced migration in the context of the post-2015 global agenda”, with a view to being accepted as a PhD candidate at the University of Hamburg. Sarah was accepted to the University right after her stay and continued her work on her PhD thesis under the same title. Her thesis aims to ascertain how discourses that link climate change and forced migration are developing within policy communities. One of the goals of Sarah´s PhD paper is to strengthen the understanding of how these different discourses may be translated into specific policy outcomes and with this contribute to more successful policy-making and communication within global governance structures on this issue in the future. Nawaz, Muhammad Farrakh (PhD in Environmental Sciences, Pakistan) 2 months at the Institute of Silviculture and Forest Protection of Dresden University of Technology. Patrocinio, Antonio Otavio (PhD in Chemistry, Brazil) 2 months at Institute for Technical Chemistry of the Leibniz Universität Hannover. 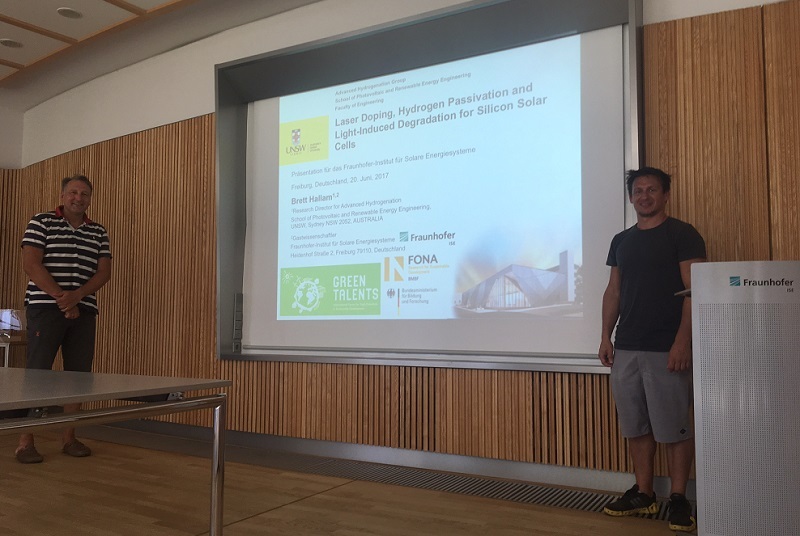 During his research stay in Hannover, Antonio Otavio had the opportunity to develop research on photoelectrochemical properties of semiconductor-based systems for hydrogen production and other photocatalytic activities. Among others, he worked on the evaluation of WO3/TiO2 thin films for gas phase photodegradation of organic pollutants and photocatalytic hydrogen production by using selected TiO2 nanoparticles. The experiments he performed with the research team of the Institute for Technical Chemistry have shown that some new materials might be suitable options for H2 production, environmental photocatalysis as well as for new technologies on photovoltaics. Schröfel, Adam (PhD in Material Science, Czech Republic) 3 months at European Molecular Biology Laboratory (EMBL) in Heidelberg. During his stay at the EMBL, material scientist Adam was trained on various methods in electron microscopy for cell biology. The main focus laid on three topics: sample preparation methods, fine structure immuno-localization of proteins and tridimensional ultrastructural analysis by EM-tomography. The description of mutual interactions between living cells and nanomaterials is very important for the usage of such materials for biomedicine and therefore the professional handling of electron microscopy is a substantial prerequisite for research on that topic. The skills Adam gained at the EMBL in Heidelberg by operating with state-of-the-art electron microscopy equipment gives him the opportunity to continue his research on the development and synthesis of bio-inspired nanomaterials or bio-nanomaterials. Siebrits, Raymond (Master in Environmental and Geographical Science, South Africa) 9 weeks at the Helmholtz Centre for Environmental Research (UFZ) in Leipzig. Starting in May 2013, South African researcher Raymond Siebrits was hosted by the Helmholtz Centre for Environmental Research (UFZ). Previously, he undertook an analysis of water research in South Africa with the University of Cape Town and the Water Research Commission which constituted the basis for the independent research he performed in Germany. Raymond sought to gain a deeper understanding of the development of the Water Science Alliance in order to take key lessons and recommendations back to South Africa. 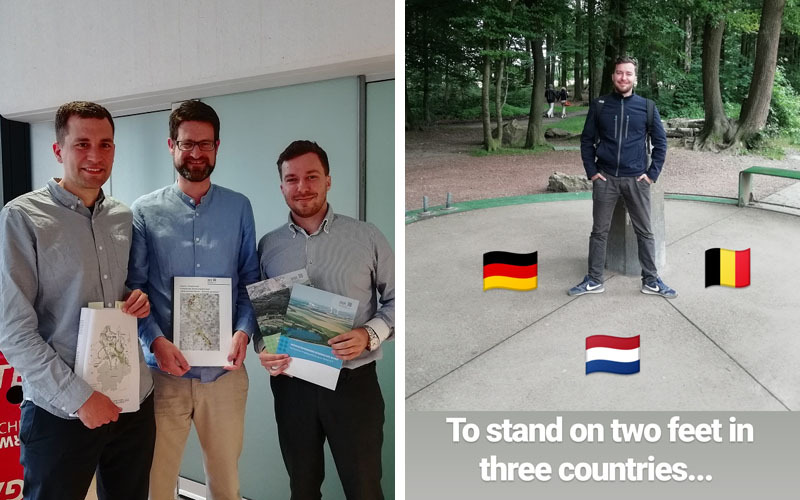 He completed this task by focusing on the perceptions of the water research environment in Germany and the processes of the Water Science Alliance in the past, in the present and in the future. Solano Martínez, Javier (PhD in Energy and Electrical Engineering, Colombia) 3 months at the Institute of Energy and Automation Technology of the Technical University of Berlin. Vijayan, Dhanya (PhD candidate in Geography, India) 3 months at artec Research Centre of the University of Bremen. During her research stay in Bremen, geographer Dhanya Vijayan, an expert in natural resource management, had the possibility to take a comparative perspective between her research area, the Achankovil River Basin in Southern Kerala, India, and the Citanduy and Kapuas River Basin in Java and Kalimantan, where researchers from artec have been working over the past years. As a result, a working paper has been developed with collaboration from artec researchers on watershed management programmes and policies in India with a focus on Kerala, which helped to interlink the macro level in water governance with micro level dynamics. 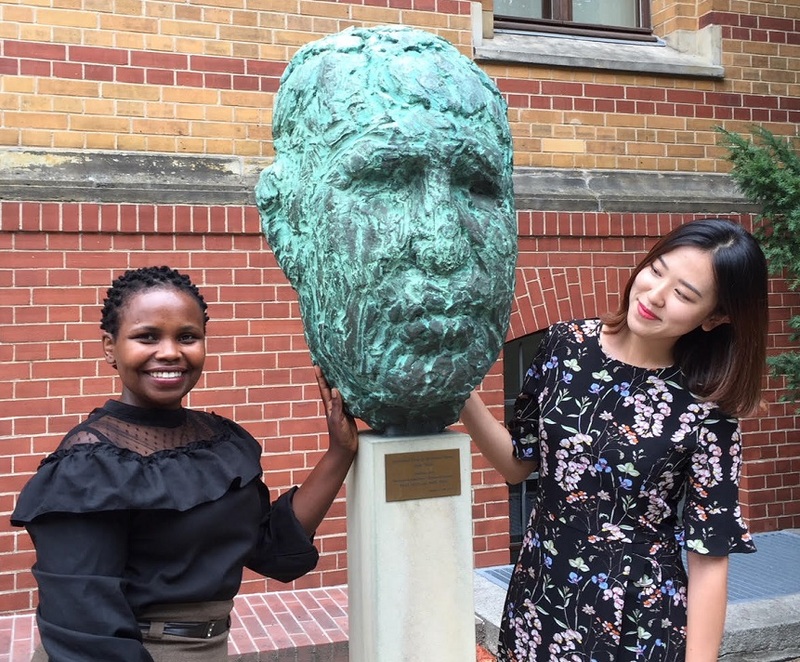 After winning the Green Talents Award, Dhanya furthermore received the prestigious “German Chancellor Fellowship 2014/2015” from the Alexander von Humboldt Foundation. She returned to artec in this context to work on “Public participation in the context of multi-level water governance in Kerala and Germany”. Yenneti, Komalirani (PhD candidate in Geography and Environmental Sciences, India) 3 months at German Development Institute (DIE) in Bonn. Komalirani’s research stay at the DIE aimed at analyzing the policy governance of grid-connected solar PV in India from a transformation perspective. This includes understanding the development of the solar energy sector post-liberalization of the energy sector to the current National Solar Mission development as well as setting out all the moving parts, multiple actors and institutions operating. In order to achieve this, Komalirani mapped the evolution of the solar energy policy in India. Her host provided her an understanding of the longstanding activities of DIE in the energy sector in developing countries. The outcomes of the research stay were integrated as one of the chapters of Komalirani’s PhD thesis. Taking on the work conducted, she also proposed her post-doctoral research topic on green energy transformation in India and China, where she currently works at the Chinese Academy of Sciences. Zhang Zilong (PhD in Human Geography, China) 3 months at Institute of Applied Material Flow Management of Trier University of Applied Sciences. 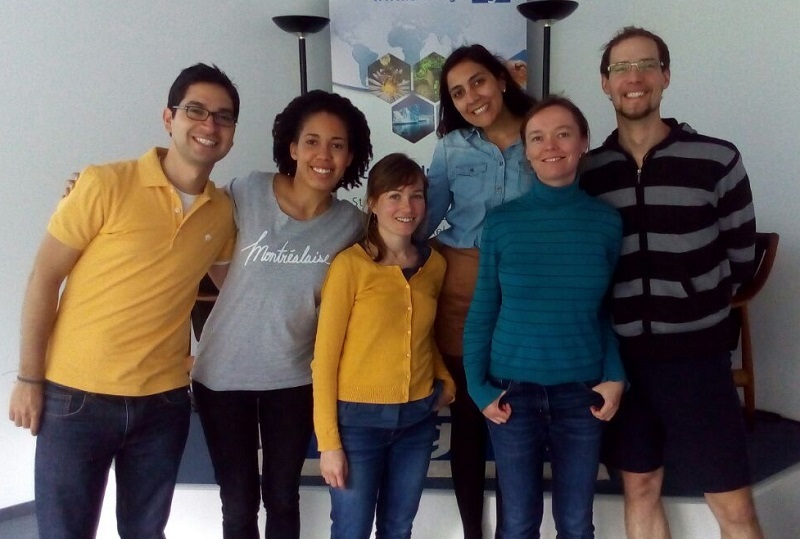 Bortoleto, Ana Paula (PhD in in Environmental Engineering, Brazil) 3 months at Otto-von-Guericke University Magdeburg. 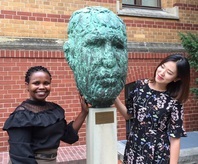 A Marie Curie International Incoming Fellowship took Ana Paula, who received her PhD in Japan, to the University of Sheffield in the UK. Here she has devoted her postdoctoral research to comparing urban waste prevention behaviours in Sao Paolo and Sheffield. She argues that the solution for solid waste issues involves not only technical or economic regulations or both, but also real changes in individuals’ behaviour. 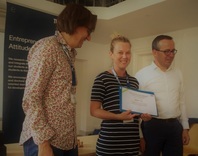 During her stay in Magdeburg, Ana Paula empirically tested a pre-conceived behaviour model for waste prevention and improved the model by including of specific social norms and situational factors influencing waste prevention level of engagement. Ana Paula is now a visiting fellow at the Max Planck Institute for Human Development in Berlin. Her work at the Center for Adaptive Behavior and Cognition is sponsored by the Alexander von Humboldt Foundation since she won its prestigious International Climate Protection Fellowship in 2013. Guan Ting (PhD Candidate in Public Administration, China) 3 months at University of Duisburg-Essen. With a Bachelor in Urban Planning, Ting started her scientific career with the design of eco-friendly cities. Nowadays, her PhD work is focused on environmental and energy policy issues in China. Ting was able to add a European dimension to her research during her stay in Duisburg, where she conducted comparative research on energy conservation in provincial government systems in China and Germany. Horwood, Owen (PhD in Geography and Environment, South Africa) 2 months at Institute of Environmental Physics of Heidelberg University. For Owen, a specialist in water governance, institutional mechanisms are what translate scientific knowledge into action and determine how the scientist’s work is applied to policy. His work is focused on water sector reform in South Africa with an emphasis on stakeholder participation and institutional functionality. 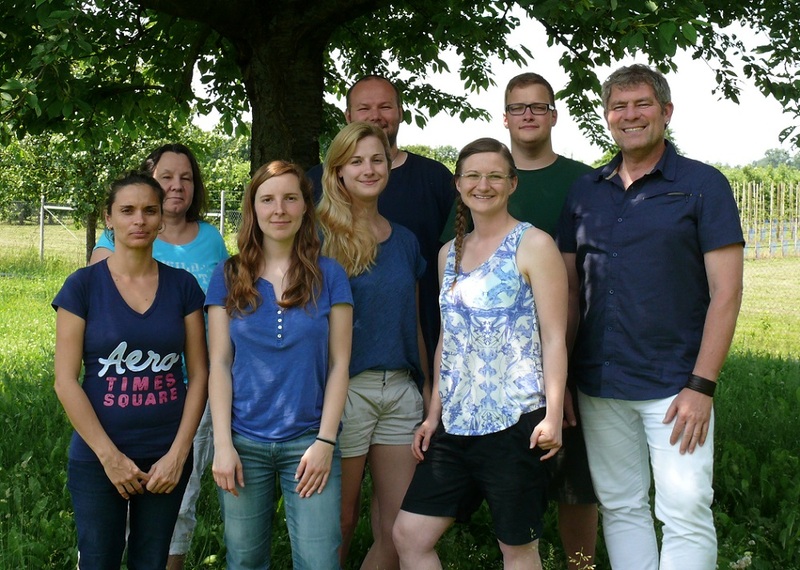 During his stay in Germany, Owen investigated the interdisciplinary model of sustainability research applied by the Heidelberg Centre for the Environment. The integrated sustainability programmes he gained insights into will enable him to create similar structures in his native South Africa. Ibáñez Gutiérrez, Ricardo Andrés (PhD candidate in Architecture, Colombia) 4 months at Institute of Agricultural and Urban Ecological Projects (IASP)of the Humboldt University in Berlin. Andrés is a PhD candidate of the University of Hong Kong researching on methodologies to assess environmental services delivered by buildings in urban areas. By incorporating a wide range of eco-productive technologies such as biotectonics, photovoltaics and environmentally responsive materials, buildings can improve the environmental quality in urban areas by purifying air, managing water, absorbing noise, regulating climate or creating habitat for biodiversity among many other eco-services. During his research stay, he conducted tests on several environmental services delivered by green surfaces: Deposition of dust, carbon sequestration, and noise mitigation. Li Yangfan (PhD in Environmental Science, China) 3 months at Humboldt-University in Berlin. Yangfan develops early warning and resilience systems to mitigate the impact of urbanisation on coastal wetlands in his native China. The goal is to inform authorities and policy makers when certain ecological thresholds have been reached. “The consequences of rapid industrialisation and urbanisation are far reaching and are impacting local and regional ecological security,” says Li. During his research stay, he used remotely sensed and on-site data in Germany and China to explore an integrated method to detect and assess ecological impacts on urban-coastal wetland interface, a typical social-ecological system, under rapid urbanization. This research integrates sustainability science and landscape ecology. Luque, Rafael (PhD in Organic Chemistry, Spain) 3 months at Max Planck Institute of Colloids and Interfaces in Berlin. Rafael is an extremely active and vocal ambassador for green chemistry, which applies the power of chemistry to improving material and resource efficiency, developing alternative energy sources, and designing cleaner industrial processes. 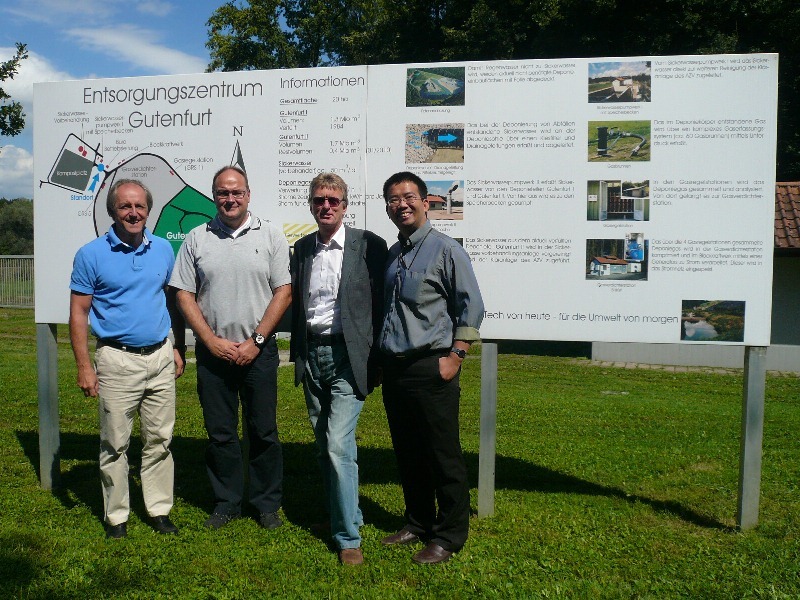 In Germany, he continued his investigations on the development of an innovative methodology for waste valorization to valuable products, including chemicals, materials and fuels. In this regard, the main project of his research stay was dealing with the valorisation of leather residues to carbonaceous materials and their applications in CO2 sequestration. But his stay also helped Rafael to establish links to various researchers from the MPI with whom his Spanish research group is now collaborating in other projects related to designer nanoparticles, biomass valorization and lignin depolymerisation. Nazarkina, Liudmila (PhD candidate in Strategy and Management, Russia) 3 months at UNEP/Wuppertal Institute Collaborating Centre on Sustainable Consumption and Production in Wuppertal. During her stay in the fall/winter of 2011, Liudmila worked on the project “Scaling up Strategies for Entrepreneurial Firms: How to Scale up Business Impacts on Sustainable Living.” In this research, she explored growth strategies for sustainability entrepreneurs in the Lifestyle of Health and Sustainability (LOHAS) industry. For them choosing the optimal way to grow is a must if they want to make a positive and lasting contribution. But how do you grow your company and how effective are these growth mechanisms to scale up positive social and environmental impacts? Liudmila wants to help them grow, better scale their social innovations and contribute effectively to a more sustainable world. In her research report she therefore gives recommendations concerning the growth strategies of different exemplary firms. Obeid, Najwa (PhD Candidate in Environmental Engineering and Sciences, USA) 3 months at Environmental Vulnerability and Ecosystem Services Section (EVES) of the United Nations University (UNU) in Bonn. Understanding the need for a multidisciplinary approach in order to get new technologies implemented, Najwa is working to advance the use of green stormwater infrastructure in the world’s cities. Her work at the UNU primarily focused on a project related to the rebuilding of the Tohoku region of Japan after the great tsunami of March 11, 2011. The stay resulted in a report titled “Institutional aspects of disaster risk reduction (DRR),” which addresses the institutional perspectives on the integration of ecosystems for disaster risk reduction. On top of that, Najwa helped writing a proposal concerning aquaculture practice in Vietnam. Randall, Dyllon (PhD in Chemical Engineering, South Africa) 2 months at Institute IWAR of the Technical University Darmstadt. Combining water treatment and raw product recovery is an environmental solution with clear economic benefits in which Dyllon is an expert. He developed a groundbreaking brine treatment protocol as a solution for industrial and mining wastewater: Eutectic Freeze Crystallization. During his research stay, he also analyzed ways of treating wastewater. At the TU Darmstadt, Dyllon investigated the recovery of phosphorus from a process called the “FIX-Phos” process which was patented in 2010. Rebelo, Alanna (MSc in Restoration, Conservation Ecology and Hydrology, South Africa) 3 months at German Aerospace Center (DLR) in Munich. Alanna works on investigating the impact of land-use change on the flow of ecosystem goods and services in her native South Africa. While land transformation is essential for food and resource provision, the process of changing native land-cover into a specific land-use often has undesirable side-effects on ecosystem goods and services delivery. In Munich, she was able to apply Remote Sensing to her research, which is a valuable tool for monitoring spatial and temporal variations. In this context, Alanna investigated a method for scaling up local high resolution soil cover fractions to a regional level. Sim Siang Tze, Victor (PhD Candidate in Environmental and Water Resources, Singapore) 1 month at IWW Water Centre in Mühlheim. Victor’s work at the Nanyang Technological University in Singapore is focused on improving membranes to make desalination, water purification and even energy generation more economically viable. Here he is developing innovative ultrasound technique to detect membrane biofouling non-invasively and in real time. Through the experiments conducted at IWW Water Centre, one of Germany's leading institutes for research, consulting and services in the water sector, Victor was able to detect biotic materials with an optical sensor which also serves as a desirable non-invasive, in-situ and real-time detection of biofilms on surfaces such as heat exchangers. 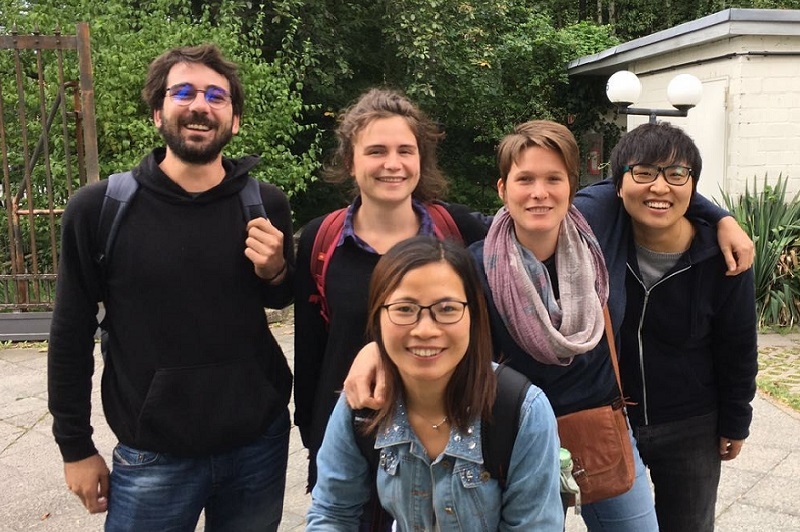 Xue Bing (PhD in Human Geography, China) 3 months at Institute of Applied Material Flow Management of the University of Applied Sciences Trier, and Wuppertal Institute for Climate, Environment and Energy. Bing, Associate Professor at the Institute of Applied Ecology at the Chinese Academy of Sciences in Shenyang City, believes that man-made systems and processes can be redesigned to reflect the efficiency of regenerative, cyclic living systems – that nature’s circular economy can be applied to improve human economies. He is applying this powerful idea to the gigantic task of cleaning up China’s environment. During his time in Germany, Bing therefore researched on a Multiple Dimensioned Comparison on Sino-German Sustainability Governance Responding Resource Scarcity and Climate Change. Together with his colleague and fellow Green Talent from 2012, Zhang Zilong, and other international scientists, he published the outcomes of his research stay in a paper entitled “Co-benefits analysis on climate change and environmental effects of wind-power: A case study from Xinjiang, China”. The paper is accessible online in the internationally renowned “Renewable Energy” Journal (Renewable Energy 57 (2013) 35-42). Bing returned to Trier in 2013 when he continued his work at the institute in the framework of the prestigious International Climate Protection Fellowship by the Alexander von Humboldt Foundation. 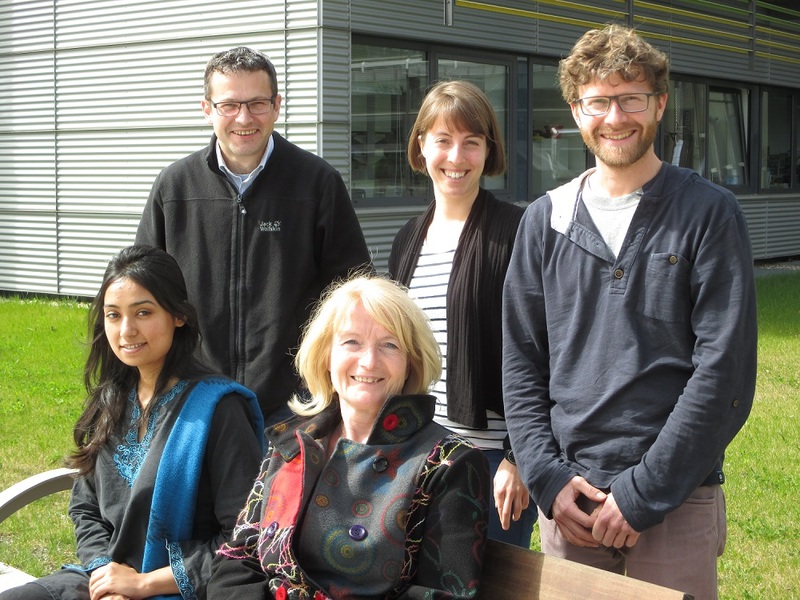 This fellowship is split between Trier and Institute of Advanced Sustainability Studies in Potsdam which the Green Talents-Programme has close ties with. Zapata Porras, Sandra (PhD Candidate in Engineering, Colombia) 3 months at University of Hohenheim. An Agro-Industrial Production Engineer, Sandra helps create tangible – and sustainable – economic value out of Colombian biodiversity and improve lives by harvesting and processing natural products in an environmentally and socially responsible way. Together with her team she has already secured three international patents related to the extraction and processing of natural rainforest products. One of these is for a natural blue colorant derived from a rainforest fruit harvested by local communities. 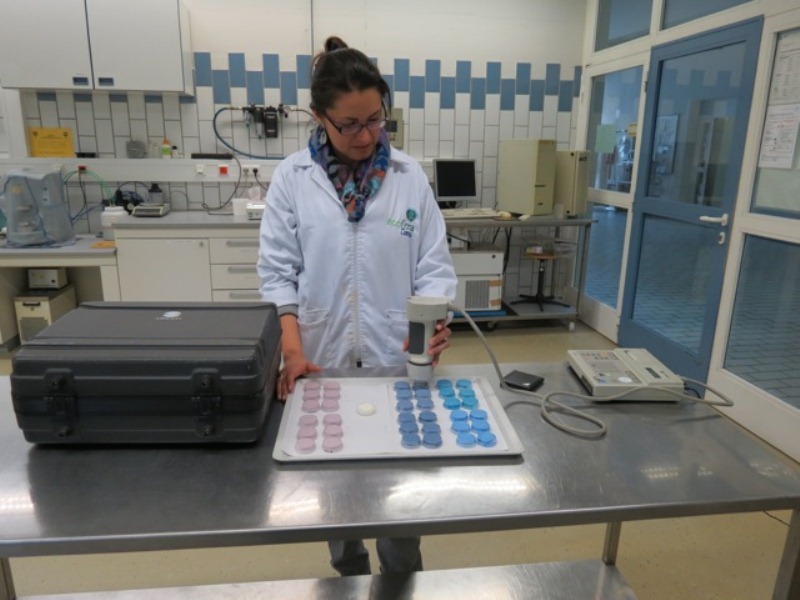 Sandra used her time in Germany to investigate convincing stability tests of this novel blue colorant for different foods and beverages. 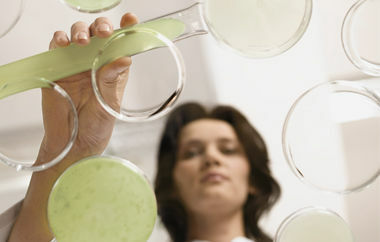 With these results, her company in Colombia now has enough data to present the stability test to the Food and Drug Administration in order to submit a dossier for a new color additive in the food industry. Learn more about how Sandra's relationship to the University of Hohenheim further developed after her stay in our news section. Zapater Pereyra, Maribel (PhD Candidate in Water Management, Peru) 3 months at Institute for Landscape Planning and Ecology of the University of Stuttgart. Maribel is interested in sustainable water sanitation and has chosen to focus her research on constructed wetlands. Man-made versions of nature’s biofilters, constructed wetlands recreate the mechanisms that occur in natural wetlands for the purpose of wastewater treatment. Maribel’s ultimate goal is to combine her civil engineering interest with her expertise in water sanitation by designing and building wastewater treatment systems for the private/public sector. During her time in Stuttgart, she worked on a project entitled “Sustainable Water and Wastewater Management in Urban Growth Centres Coping with Climate Change – Concepts for Lima Metropolitana”, which aims at the development and application of tools for participatory decision-making related to the sustainable planning and management of water and sanitation in Lima, Peru. Zhou Jin (PhD Candidate in Environmental Engineering, China) 3 months at University of Tübingen. Life cycle assessment (LCA) is a tool for evaluating the environmental impact of a product or industrial process. By analyzing all stages – from cradle to grave – it broadens the perspective on environmental impact and goes hand in hand with more sustainable approaches to management. In this context, Jin aims at expanding the scope of LCAs to include environmental, economic and social factors. While in Tübingen, she therefore compared the environmental life cycle of different tertiary treatment approaches for pharmaceutical removal. Bhadra, Sukalyan (PhD in Synthetic Organic Chemistry, India) 3 months at Technical University Kaiserslautern - Institute for organic chemistry. After completing his research stay and receiving a fellowship for another three months from TU Kaiserslautern, Sukalyan was employed full-time and conducted his post-doc in Kaiserslautern. Here he explored ways to replace the ecologically questionable organyl halides with carboxylic acids, which are inexpensive, broadly available and waste-free substrates for cross-coupling reactions. His goal is the development of sustainable catalyst systems and investigation of waste-free organic transformations. Gusev, Alexander (PhD in Political Science, Russia) 3 months at German Institute for International and Security Affairs (Stiftung Wissenschaft und Politik - SWP) in Berlin. Alexander is an expert of energy policies in Russia and the EU. As a German Chancellor Fellowship holder of the year 2012/2013, he returned to SWP for another year to deeper examine German-Russian cooperation on energy efficiency on the current stage. Jeyachandran, Indumathi (PhD in Civil Engineering, India) 3 months at Institute for Energy Economics and the Rational Use of Energy (IER) at the University of Stuttgart. Indumathi’s field of expertise is urban systems sustainability, which seeks to mitigate the impact of urban centres on the surrounding environment, as well as improve energy efficiency in buildings, urban air quality, and overall quality of life for urban dwellers. Also a LEED Accredited Professional and researcher in California, her work currently focuses on using an integrated modeling framework to study the impacts of resorting to Green Infrastructure (GI). This work goes hand-in-hand with ger stay at the University of Stuttgart, where she analyzed the impacts of land use change on energy demand and Green House Gas (GHG) emissions. Jorgensen, Paul (MSc in Environmental Science, South Africa) 3 months in Environmental Vulnerability & Ecosystem Services Section at the Institute of Environment and Human Security of the United Nations University (UNU-EHS) in Bonn. Paul’s work is focused on linking ecosystem goods and services (EGS) to sustainability risks and opportunities. He looks for ways to enable local governments to quantify EGS, quantify the risk that human economic activity poses to EGS and quantify the resulting vulnerability of societies. Paul was able to use this knowledge when researching on the transboundary initiative “Eco-tourism in the Pamir - Alai Mountain ranges in Kyrgyzstan: Case study of two sustainable land management micro-projects” during his stay at UNU-EHS. Kurniawan, Tonni (PhD in Applied Biology and Chemical Technology, Indonesia) 3 months at Ravensburg-Weingarten University of Applied Sciences. An undisputed leader in the science of water remediation, Tonni has been identified by the Institute for Scientific Information (ISI) as one of most cited scientists in the field of engineering. After he earned his PhD from The Hong Kong Polytechnic University, Tonni subsequently conducted postdoctoral research as a Marie Curie Experienced Researcher in Finland. His contribution to sustainability is in the materials that he uses and which not only minimize the generation of secondary waste, but also reduce energy consumption while improving the quality of treated effluents. Under the guidance of the supervisor of his research stay, Tonni also wrote the thesis for his second Master degree, entitled “How Market Instruments in Environmental Services Would Control the Generation of Municipal Solid Waste (MSW)? German Capacities in Green Economy as a Role Model for Indonesia: Empirical Analyses Based on Best Practices of MSW Management in the State of Baden-Württemberg”. López Valencia, Adriana (PhD in Environmental Science, Colombia) 6 months at Institute of Environment and Human Security of the United Nations University (UNU-EHS) in Bonn. Architect, urban planner and environmentalist Adriana truly has an interdisciplinary approach to her research. 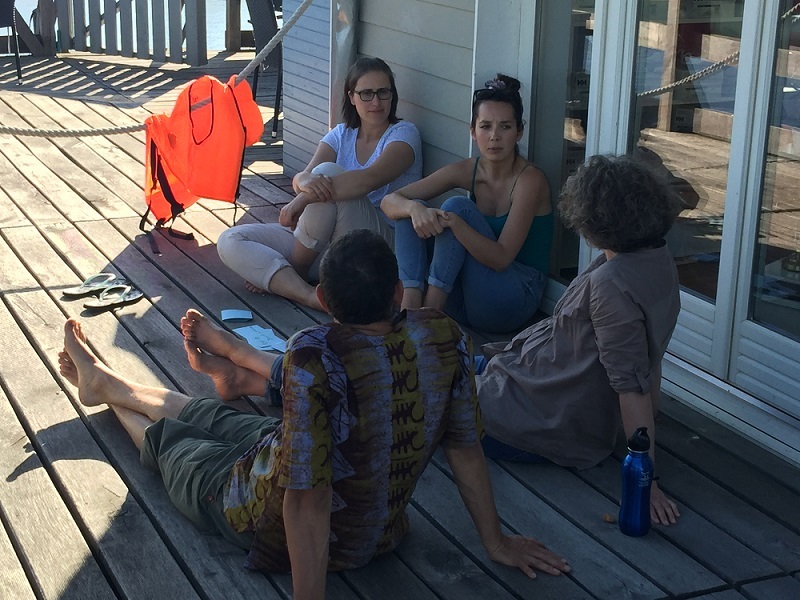 With additional funding from a Colombian agency, she used the time in Bonn to learn more about vulnerability assessment, disaster risk reduction and climate change adaptation to develop a conceptual framework for a sustainable urban intervention model within her PhD research. Low, Bee Ting (PhD in Chemical and Biomolecular Engineering, Singapore) 1 month at the Institute of Energy and Climate Research of Forschungszentrum Jülich. Bee Ting is a Senior Research Engineer at Membrane Technology and Research (MTR) in the US, where she is working on developing and optimizing membranes for oxygen enrichment, natural gas purification and post-combustion carbon capture. During her research stay, Bee Ting worked on the simulation of a membrane process for post-combustion carbon capture. Together with Dr. Li Zhao, her colleague from the Forschungszentrum Jülich, she wrote a paper on the work done and it has recently been published in the Journal of Membrane Science. The paper titled "A parametric study of the impact of membrane materials and process operating conditions on carbon capture from humidified flue gas" can be accessed online. March, Andrew (MSc in Pollution Chemistry and Environmental Risks, USA) 3 months at Siemens AG in Berlin. After his research stay in the Environmental Life Cycle Analysis (LCA) Department within the Corporate Technology sphere of Siemens AG, Andrew is now employed full-time with the company. Back in 2011, he performed a life cycle analysis of a solar power plant control system and researched sustainability within Siemens’ corporate supply chain. Morais Leme, Daniela (PhD in Biological Sciences, Brazil) 6 months at Experimental Toxicology & Ecology Department of BASF – The Chemical Company in Ludwigshafen. Currently conducting postdoctoral research at the Faculdade de Ciências Farmacêuticas de Ribeirão Preto in Brazil, Daniela is applying her knowledge of genotoxins to the study of textile dyes and assessing their potential to induce DNA damage in human skin. This knowledge was even expanded during her time at BASF when she worked on 3D reconstructed full-thickness skin models that have the chance to function as an alternative method for animal testing to predict the genotoxic hazard of chemicals, a truly trendsetting innovation. Nikitchenko, Julia (PhD in Ecology, Ukraine) 2 months at the Department of Environmental Biotechnology of Helmholtz Centre for Environmental Research (UFZ) in Leipzig. In her PhD thesis, Julia focused on finding a sustainable solution for scrap tire management with waste tire conversion into products-substitutes of expensive and scarce natural resources. Her ongoing research interest concentrates on the development of a new biological treatment process for effluents of coking factories. Julia already followed this approach during her research stay in Leipzig, where she worked on “Future Engergy Production - Saving Concept for effluent treatment of carbon pyrolytic industries”. She is applying latest knowledge on anaerobic methanogenic fermentation and partial nitrification with post-treatment in constructed wetlands. Otieno, Mike (PhD in Civil Engineering, Kenya) 3 months at the Institute for Building Materials Research (ibac) of RWTH Aachen University. Currently a reserarcher in the Concrete Materials and Structural Integrity Research Unit at the University of Cape Town, South Africa, Mike is developing a model that will help engineers predict the rate of corrosion-induced deterioration in reinforced concrete structures. His research merged very well with the high level research being carried out at ibac, which enabled him to gain hands-on experience in carrying out tests, using the German state-of-the-art equipment, and to re-align his study objectives and experimental work through the guidance of experts in his field. Shah, Binita (PhD student in Environmental Sciences, India) 3 months at Institute of Environment and Human Security of the United Nations University (UNU-EHS) in Bonn. Binita, formerly an environmental consultant with valuable experience with Environmental Impact Assessments (EIA) and green building certification, is now a Doctoral Fellow at the National Institute of Industrial Engineering in Mumbai. Here she develops her own sustainable development model for the thermal power industry in India, including a life-cycle model for electricity, which she has named the Holistic Sustainable Development Model (HSDM). In the course of her research stay, she was able to use UNU-EHS’ extensive experience in disaster mitigation to apply the methodology of the World Risk Index to a case study in India. Valderrama-Vernaza, Mercedes (Diploma in Biology, Colombia) 3 months at Helmholtz Centre for Environmental Research (UFZ) in Leipzig. Mercedes, both biologist and activist, is devoted to protecting endangered species and the environment. She is especially interested in interdisciplinary ecosystem research and the relationship between human economic activities and endangered species. A good example of this is her work conducted during her time in Leipzig. At the UFZ, she used GIS mapping to analyze the impact of humans, and especially their urge to light their cities at night (“Loss of Night”), to local blackbirds. Zhao, Dewei (PhD in Electrical Engineering, China) 3 months at Karlsruhe Institute of Technology (KIT). During his research stay, Dewei continued his research on tandem organic solar cells, which was the research project for his PhD. Focusing on interface engineering he developed and modified a new intermediate layer used for tandem organic solar cells. As such, they could play a key role in the future of sustainable energy technology. Nowadays, Dewei is a postdoctoral researcher in the Department of Electrical Engineering & Computer Science at the The University of Michigan in the US. 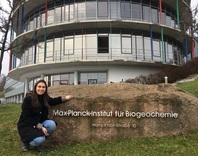 Aristéia de Lima, Juliana (PhD in Chemistry, Brazil) spent 3 months at Max Planck Institute for Polymer Research in Mainz. During her research stay, Juliana, who is currently a postdoctoral researcher at the Federal University of ABC in Brazil, explored the use of microemulsion to create biodegradable polymer blends known as biopolymers. Her ultimate goal is to find alternatives to the use of plastic materials by creating polymer blends with enhanced properties. Banerjee, Saumita (PhD in Biotechnology, India) spent 1 month at the “Aachener Verfahrenstechnik” of RWTH Aachen University. 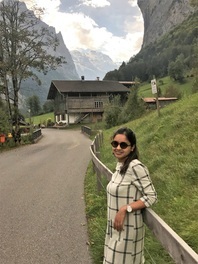 Saumita, who has done extensive PhD research on the production of bioetha­nol from lignocellulosic biomass at the National Environmental Engineering Research Institute (NEERI) in Nagpur, says she gained important insights into the future trends in her field during her research stay at RWTH Aachen University. 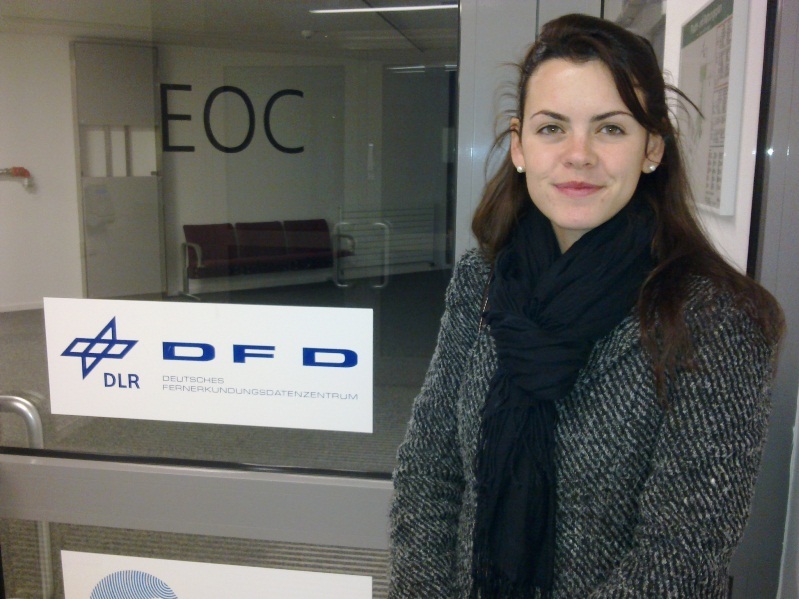 Fisher, Natalia (PhD in Ecology, Russia) spent 3 months at Groundwater Research Centre (GWZ) Dresden. As a scientist at the environmental biotechnology lab of the Russian Academy of Sciences’ Institute of Wa­ter and Ecological Problems, Natalia develops biotechnology – using indigenous bacteria – to remove manganese from the water inside aquifers. While in Dresden, she was able to generate data for the modeling of in-situ deironification processes. Ma, Xingmao (PhD in Civil Engineering, USA) spent 2 months at Helmholtz Centre for Environmental Research (UFZ) in Leipzig. Currently an associate professor in the Department of Civil and Environmental Engineering at Southern Illinois University, Xingmao used his stay at the UFZ to bring his hypothesis on the hydrodechlorination of water with modified nanoparticles to the test. 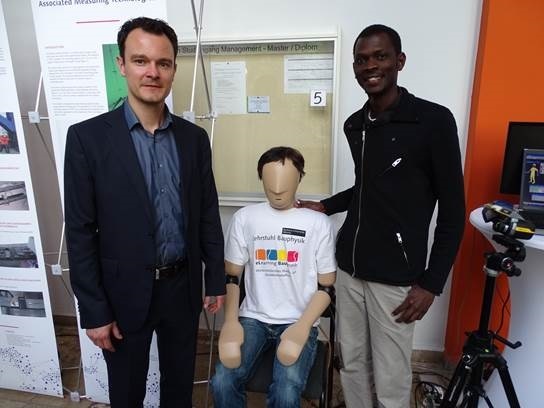 Nemukula, Aluwani (PhD in Biotechnology, South Africa) spent 3 months at the Institute of Process Engineering in Life Sciences of Karlsruhe Institute of Technology (KIT). During his stay in Karlsruhe, Aluwani, who works at the Institute for Water and Wastewater Technology at the Durban University of Technology in South Africa, investigated a specific type of South African microalgae with the goal of developing an integrated process for sustainable and energy efficient production of renewable metabolites.